Purchasing wholesale e-Liquid involves ordering direct from a manufacturer in bulk, as opposed to small orders through a distributor. If you own a vape store, are an eCig retailer or you are planning to get in on the booming e-Liquid trade, your best option is to purchase wholesale e-Liquid. 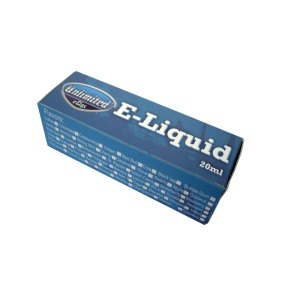 Purchasing wholesale e-Liquid eliminates the middleman and all the additional expense of dealing with distribution. All you pay for is the raw materials and the manufacturer’s labor expenses. You do not have to worry about shipping charges from warehouse to warehouse. When you go through a third party, you have to cover the profits of everyone involved in the transaction. 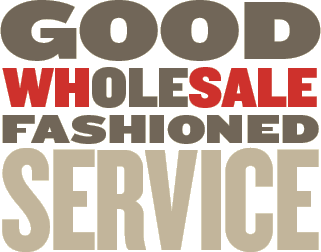 When you buy wholesale from the manufacturer, you only pay factory costs. You are able to purchase hundreds of bottles of e-Liquid at half the price. You will be able to resell our wholesale e-Liquid with exceptional profit margins. Since our juice is cerified SGS and meets REGULATION (EC) No. 1907/2006 and REGULATION (EC)No. 1272/2008, you can rest assured it is made by professionals who spare no expense with quality. By sourcing our great-tasting wholesale e-Liquid, you can establish a very strong customer base for yourself. When you work directly with a manufacturer, you are able to gain important insider information on the e-Liquid formulation process. You can learn details on ingredient selection, flavor mixing, logistics, packaging and quality control. Having this knowledge will make it possible for you to compare suppliers and make informed decisions when selecting a producer. Purchasing wholesale e-Liquid provides you with quick access to the latest and newest products. You have the opportunity to build a long-lasting relationship with the supplier. Once you have established yourself as a preferred customer, you will likely have a leg up on the best deals and newest products before they hit the shelf. Once you develop a customer base for your e-Liquids, and have built up a a good relationship with us as your manufacturer, you will have considerable credibility and authority. This will make it possible for you to negotiate for better bulk rates and charge a premium price for your goods. Wholesale e-Liquid transactions are beneficial to everyone involved. We the manufacturer have the benefit of a steady flow of orders and you are able to save/earn more money. You want to make certain that you invest in as many options as possible, which includes a wide array or strengths and flavors. In addition to popular flavors like vanilla, Regular tobacco, menthol, and Blueberry you should also consider a few exotic and rare flavors as well, such as Watermelon, Bubble Gum and Clove. In addition to great flavors, you will also need to look for top quality ingredients. All our wholesale e-Liquid is of the highest grade ingredients. You want Pharmacuetical grade Vegetable Glycerine, Propylene Glycol, and Nicotine. The most important advantage to purchasing wholesale e-Liquid is the low cost. Keeping your overhead low, helps you grow your business and ours.